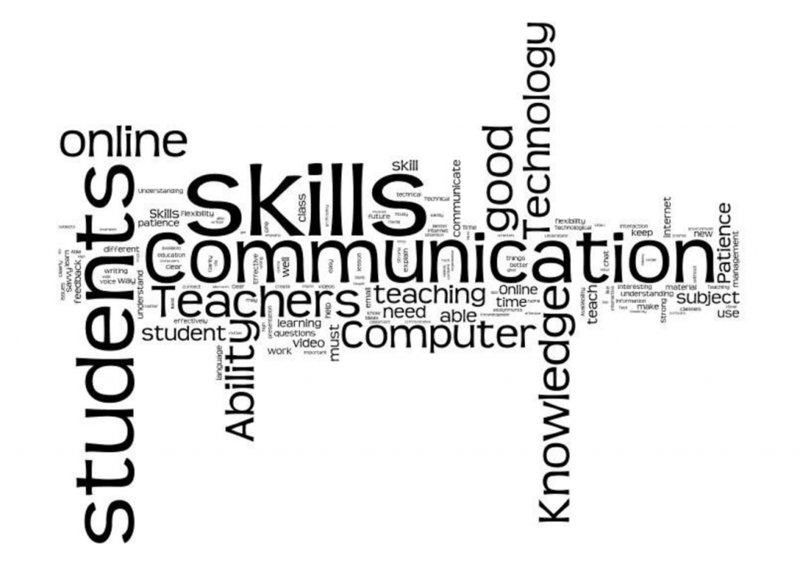 Image Source: Davidson, P. L. Student Perspectives of Future Online Faculty Competencies: A Qualitative Descriptive Study. In Saturday’s post, guest columnist Mike Kolodziej blogged about higher education’s options of online education. For years the number of postsecondary students in the United States has increased – driven by the increasing numbers of high school graduates and economic factors. 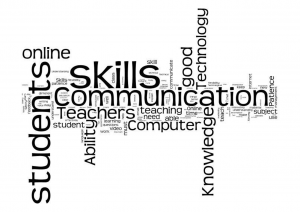 What about online education in K-12 grades? In this arena, online course modules reflect many names: technology-based instruction (Dodds & Fletcher, 2004, p. 3), e-learning modules, distance learning courses, and even the derogatory “shovelware” (Carmel & Henry, 2014). For the purposes of this blog post, “online learning” and “online courses” are those in which at least 80 percent of the course content is provided online with “mixed-initiative dialogue (Dodds & Fletcher, 2004, p. 3). Online courses may be fee-based or offered free of charge. They may be part of a required curriculum at a school or extra-curricular or interest-based (such as a course in learning a new language or a self-paced module). Online curriculum may be delivered through a Learning Management System such as Moodle, Open Class, Blackboard, Udacity, or Desire 2 Learn. Additional online course management system (CMS) such as Coursera, Canvass, or web pages to post the syllabus and assignments. Worldwide, students’ preference for online courses continued to increase at an increasing rate with 32% of all students taking at least one online course (Allen & Seaman, 2013). Online course use and access in the K-12 sphere of the United States, Singapore, and the U.K. are addressed in the remainder of this post. Clicking on online content is a regular occurrence for 6.7 million United States students (Allen & Seaman, 2013, p. 4). 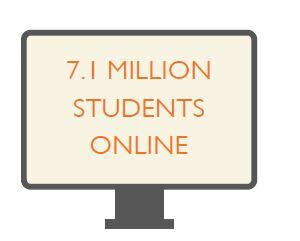 The 2013 Survey of Online Learning conducted by the Babson Survey Research Group reveals the number of higher education students taking at least one online course has now surpassed 7.1 million (Davidson). Further, the Babson Study found that there were 572,000 more online students in fall 2011. This is a slightly larger numeric increase from fall 2009 to fall 2010. In a survey of 2,910 school districts in each state nationally, 96 percent reported having students enrolled in distance education courses at the high school level, 19 percent at the middle or junior high school level, 6 percent at the elementary school level, and 4 percent in combined or ungraded schools Queen, B., and Lewis, L. (2011). The dominance of U.S. culture worldwide permeates online course offerings. In 2003, half of the Internet users were English speakers and 75% of websites were in English (Chen and Wellman, p. 157). Based in Bonn, Germany, the International Consultants for Education and Fairs (ICEF) is the global market leader in networking events and services in the international education sector. In a June, 2012 blog article, ICEF writes that the U.S. has “been the (online) model to follow in developing online delivery systems” and “been the international model to emulate” (8 Countries Leading The Way In Online Education). Simonson et al. (2003) noted that it is important that students are motivated and choose to be in a distance education environment. This is evident in the expanding the online course market. Fee-based Free World U gives students 24/7 access and “no classes to attend and no books to buy. The student / teacher relationship is individualized with one-to-one interaction.” Tuition-only International Virtual Learning Academy (IVLA) is a year-round private online school for students in grades K-12. 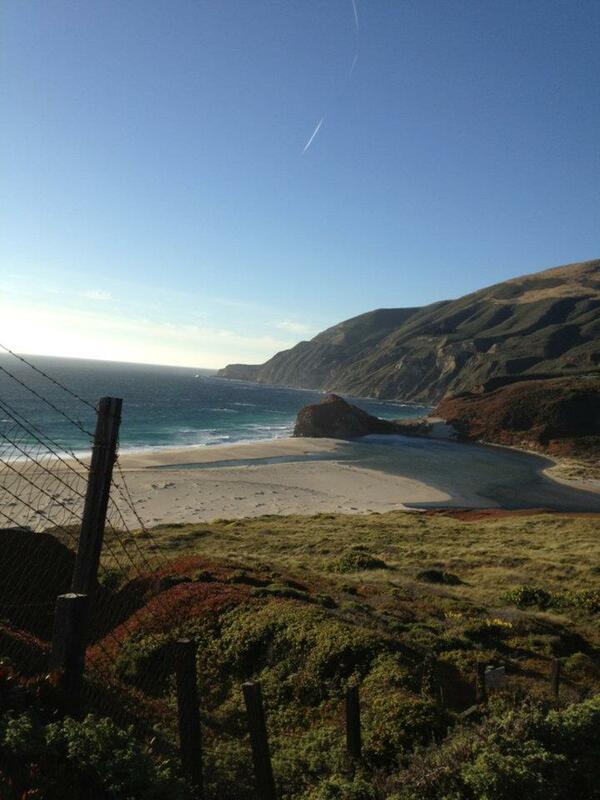 Accredited by AdvancEd, IVLA awards a California State High School Diploma through its distance learning programs. American High School touts an entire grade progression in 4-6 months. Singapore Despite the trending of flat world scenarios for education (Darling-Hammond, L., 2010), online education still resides within the confines of industrialized countries (Chen & Wellman, 2003, p. 155). In Singapore, face-to-face education is highly valued. Educational Consultant Ann McMullan writes of her recent tour of educational sites in Singapore in her CoSN post, “Thoughts from Singapore Delegation.” Regarding Singapore’s school infrastructure, McMullan observed a “very tight alignment of vision, focus, and implementation between the Ministry of Education, the National Institute of Education, and the administrators and teachers in the schools. This intentionally designed, highly interconnected, integrated support system – which also includes innovation and leadership from IDA and major corporations – is yielding impressive results for the students of Singapore.” Elaborating on her observations upon her return, McMullan said that among the 1000 Singaporean school districts, “there is a real commitment to human capital.” Further, she remembered colleague Dr. Chip Kimball’s analogy that Singapore’s socio-political trajectory is “like living in Washington and Jefferson’s times because Singapore is at its 50 year-old marker” (Ann McMullan, personal discussion, February 25, 2015). Many Singaporean schools value traditional, non-technological methods of instruction while their American and International school counterparts maintain more extensive hardware and online module options. According to one local teacher, there are differences between Singaporean schools and American/ International Schools. “International schools have much smaller class sizes and local schools are much larger. In our school for example, most class sizes are between 15 – 20 students. International schools are more focused on critical thinking and local schools are highly focused on memorizing information and facts. For example, in international schools, the students explore, experiment, and discover scientific principles, but in local schools the students are taught the principles and facts and they memorize them…From what I have experienced of international schools that follow American curriculums and use more of the American style of grading, the teachers diversify the way that the students are assessed and their final grades are based on all of those grades. In local schools, the students’ grade for the year is mostly dependent on large exams, called A Levels and O Levels, with a greater emphasis put on the sciences and maths” (S.P., personal correspondence, February 18, 2015). The K-12 school system strengthens Singapore’s position as a regional education juggernaut. National University of Singapore (NUS) recently catapulted to the top of the QS University Rankings: Asia. Nanyang Technological University (NTU) also jumped in the rankings this year, from 9th position to 7th position (ICEF Monitor, 2014). In the U.K. the government’s Online Learning Task Force recommended a budget allotment of £100 million in online education to design online educational resources and courseware, mostly for higher education students due to increasing tuition costs in the UK (Atwood, B. 2011). In the K-12 realm, in 2014, the U.K.’s failure of a universal educational initiative to teach every school child to code resulted in public dubiousness for a governmental mandates. Technology trailblazers such as Nic Peachey continue to advocate for more online courseware integration (Nic Peachey, personal communication). Scotland utilizes online modules in math, science, through the BBC Learning’s Bitesize collection of videos: http://www.bbc.co.uk/education/topics/zrjhgk7 and learning guides. These guides offer online instruction, re-teaching, homework help, and standardized test prep. Bitesize learner guides covering all the main secondary subjects, but also new primary guides and thousands of curriculum-mapped video clips for both secondary and primary classrooms. The new Bitesize BBC learning module is now operational with an online library of 7,000 classroom clips. Secondary curriculum guides covering “Key Stages 3 and 4 of the National Curriculum, and National 4, 5 and Highers” in the Scottish Curriculum for Excellence, new primary level guides and new secondary level Computer Science content. Online education in the K-12 grades offers promise to “strategically layer” content rich background layers, performance support, and tools (Carmel & Henry, 2014, p. 2). Increasing access to online courses and modules shows promise for inclusiveness and a diminishment of the digital divide. 8 Countries Leading The Way In Online Education. (2012) ICF Monitor. Retrieved from: http://monitor.icef.com/2012/06/8-countries-leading-the-way-in-online-education/ Retrieved January 15, 2015. Allen, I. E., & Seaman, J. (2013). Changing Course: Ten Years of Tracking Online Education in the United States. Sloan Consortium. PO Box 1238, Newburyport, MA 01950. Atwood, b. (2011). Britain Considers Expansion in Online Learning. Inside Higher Ed. Retrieved from: https://www.insidehighered.com/news/2011/01/27/britain_considers_expansion_of_online_education, January 31, 2015. Carmel, B., & Henry, N. (2014). 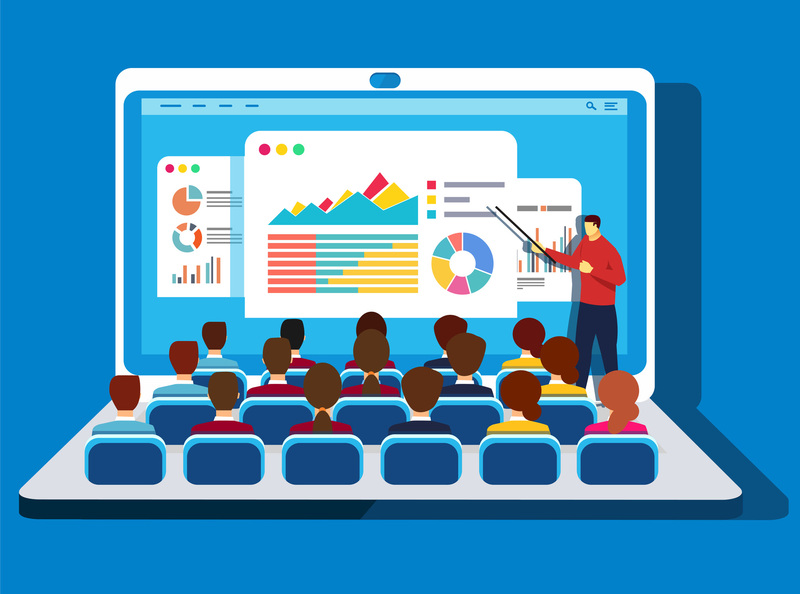 From Training Space to Any Place: Expanding Approaches to E-Learning. Chen, W., & Wellman, B. (2003). Charting and Bridging Digital Divides. I-Ways, 26(4), 155-161. Dodds, P., & Fletcher, J. D. (2004). Opportunities for new” smart” learning environments enabled by next generation Web capabilities (No. IDA-D-2952). INSTITUTE FOR DEFENSE ANALYSES ALEXANDRIA VA.
ICEF Monitor, (June, 2014). Singapore solidifies its reputation as a regional education hub. Retrieved from http://monitor.icef.com/2014/06/singapore-solidifies-its-reputation-as-a-regional-education-hub/ February 28, 2015. Kamenetz, A. (2013). Exporting Education. Slate magazine. 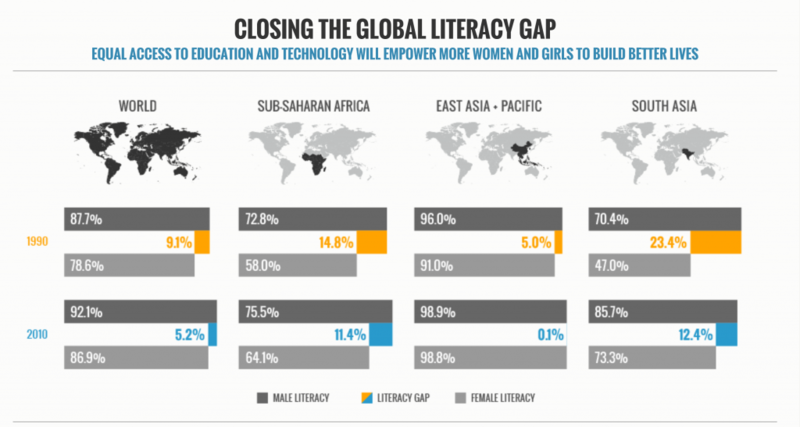 Retrieved from: http://www.slate.com/articles/technology/future_tense/2013/11/developing_countries_and_moocs_online_education_could_hurt_national_systems.html Retrieved on January 30, 2015. McMullan, A. (January 15, 2015). Thoughts from Singapore Delegation. Retrieved from: http://www.cosn.org/blog/thoughts-singapore-delegation, February 24, 2015. Milner, J. (September, 2014). Why has Bite-sized changes? Retrieved from http://www.bbc.co.uk/blogs/aboutthebbc/entries/b8f85a7d-e565-3e08-9ed0-04874555bf08 January 28, 2015). Paulsen, M. (2002). An Analysis of Online Education and Learning Management Systems in the Nordic Countries. Retrieved from: http://www.westga.edu/~distance/ojdla/fall53/paulsen53.html?xml:namespace 1/31/15. Queen, B., and Lewis, L. (2011). Distance Education Courses for Public Elementary and Secondary School Students: 2009–10 (NCES 2012-008). U.S. Department of Education, National Center for Education Statistics. Washington, DC: Government Printing Office. Simonson, M., Smaldino, S., Albright, M., & Zvacek, S. (2003). Teaching and learning at a distance: Foundations of distance education (2nd ed.). Upper Saddle River, NJ: Pearson Education, Inc.